9 a.m. – Tickets available for book signing with Jeff Kinney (Limited quantities available. First come, first served, while supplies last). “Smell the Socks” game where kids will smell a sock (they’ll be scented with good smells) and identify its scent. 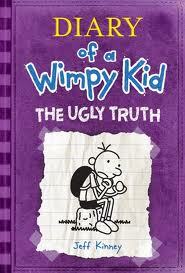 Because the event is on a school night, Jeff Kinney will only be signing copies of The Ugly Truth and one book brought from home. Tickets are available at the BookPeople registers beginning at 9 a.m. Signed copies of The Ugly Truth will also be on sale at the event while supplies last.